Registration for our 2018-2019 Season is now CLOSED. Registration for our Summer Session is now OPEN. Sign up today as our camps do fill up. Sign Up Today as Space is limited and classes will fill up quickly. Class space is available on a first-come first-serve basis and spaces are limited. When a class reaches its full enrollment it is closed for the season. We do maintain a wait list in the event that a space opens up during the year, however we encourage everyone to register as soon as possible as spaces do not open up that often. The schedule is constantly changing. 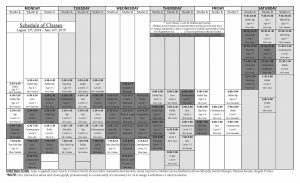 We recommend calling the studio for availability before coming to a class as some classes fill up before the first day. to confirm a class before coming into the studio. The following classes are full and we are not accepting more students in these classes. If you are interested in a class that is full and cannot make another time and would like to be added to our wait list please contact us. We are looking forward to another exciting season of Dance! We hope you can join us! The schedule currently on our web site was revised August 14th, 2018.